A graphical distribution of the locations of water on Earth. Only 3% of the Earth's water is fresh water. Most of it is in icecaps and glaciers (69%) and groundwater (30%), while all lakes, rivers and swamps combined only account for a small fraction (0.3%) of the Earth's total freshwater reserves. Water resources are natural resources of water that are potentially useful. Uses of water include agricultural, industrial, household, recreational and environmental activities. All living things require water to grow and reproduce. 97% of the water on the Earth is salt water and only three percent is fresh water; slightly over two thirds of this is frozen in glaciers and polar ice caps. The remaining unfrozen freshwater is found mainly as groundwater, with only a small fraction present above ground or in the air. Fresh water is a renewable resource, yet the world's supply of groundwater is steadily decreasing, with depletion occurring most prominently in Asia, South America and North America, although it is still unclear how much natural renewal balances this usage, and whether ecosystems are threatened. The framework for allocating water resources to water users (where such a framework exists) is known as water rights. Surface water is water in a river, lake or fresh water wetland. Surface water is naturally replenished by precipitation and naturally lost through discharge to the oceans, evaporation, evapotranspiration and groundwater recharge. Although the only natural input to any surface water system is precipitation within its watershed, the total quantity of water in that system at any given time is also dependent on many other factors. These factors include storage capacity in lakes, wetlands and artificial reservoirs, the permeability of the soil beneath these storage bodies, the runoff characteristics of the land in the watershed, the timing of the precipitation and local evaporation rates. All of these factors also affect the proportions of water loss. Human activities can have a large and sometimes devastating impact on these factors. Humans often increase storage capacity by constructing reservoirs and decrease it by draining wetlands. Humans often increase runoff quantities and velocities by paving areas and channelizing the stream flow. Brazil is estimated to have the largest supply of fresh water in the world, followed by Russia and Canada. Throughout the course of a river, the total volume of water transported downstream will often be a combination of the visible free water flow together with a substantial contribution flowing through rocks and sediments that underlie the river and its floodplain called the hyporheic zone. For many rivers in large valleys, this unseen component of flow may greatly exceed the visible flow. The hyporheic zone often forms a dynamic interface between surface water and groundwater from aquifers, exchanging flow between rivers and aquifers that may be fully charged or depleted. This is especially significant in karst areas where pot-holes and underground rivers are common. Groundwater is fresh water located in the subsurface pore space of soil and rocks. It is also water that is flowing within aquifers below the water table. Sometimes it is useful to make a distinction between groundwater that is closely associated with surface water and deep groundwater in an aquifer (sometimes called "fossil water"). Groundwater can be thought of in the same terms as surface water: inputs, outputs and storage. The critical difference is that due to its slow rate of turnover, groundwater storage is generally much larger (in volume) compared to inputs than it is for surface water. This difference makes it easy for humans to use groundwater unsustainably for a long time without severe consequences. Nevertheless, over the long term the average rate of seepage above a groundwater source is the upper bound for average consumption of water from that source. The natural input to groundwater is seepage from surface water. The natural outputs from groundwater are springs and seepage to the oceans. If the surface water source is also subject to substantial evaporation, a groundwater source may become saline. This situation can occur naturally under endorheic bodies of water, or artificially under irrigated farmland. In coastal areas, human use of a groundwater source may cause the direction of seepage to ocean to reverse which can also cause soil salinization. Humans can also cause groundwater to be "lost" (i.e. become unusable) through pollution. Humans can increase the input to a groundwater source by building reservoirs or detention ponds. Several schemes have been proposed to make use of icebergs as a water source, however to date this has only been done for research purposes. Glacier runoff is considered to be surface water. The Himalayas, which are often called "The Roof of the World", contain some of the most extensive and rough high altitude areas on Earth as well as the greatest area of glaciers and permafrost outside of the poles. Ten of Asia’s largest rivers flow from there, and more than a billion people’s livelihoods depend on them. To complicate matters, temperatures there are rising more rapidly than the global average. In Nepal, the temperature has risen by 0.6 degrees Celsius over the last decade, whereas globally, the Earth has warmed approximately 0.7 degrees Celsius over the last hundred years. Desalination is an artificial process by which saline water (generally sea water) is converted to fresh water. The most common desalination processes are distillation and reverse osmosis. Desalination is currently expensive compared to most alternative sources of water, and only a very small fraction of total human use is satisfied by desalination. It is usually only economically practical for high-valued uses (such as household and industrial uses) in arid areas. However, there is growth in desalination for agricultural use, and highly populated areas such as Singapore or California. The most extensive use is in the Persian Gulf. It is estimated that 70% of worldwide water is used for irrigation, with 15–35% of irrigation withdrawals being unsustainable. It takes around 2,000 – 3,000 litres of water to produce enough food to satisfy one person's daily dietary need. This is a considerable amount, when compared to that required for drinking, which is between two and five litres. To produce food for the now over 7 billion people who inhabit the planet today requires the water that would fill a canal ten metres deep, 100 metres wide and 2100 kilometres long. Around fifty years ago, the common perception was that water was an infinite resource. At that time, there were fewer than half the current number of people on the planet. People were not as wealthy as today, consumed fewer calories and ate less meat, so less water was needed to produce their food. They required a third of the volume of water we presently take from rivers. Today, the competition for water resources is much more intense. This is because there are now seven billion people on the planet, their consumption of water-thirsty meat and vegetables is rising, and there is increasing competition for water from industry, urbanisation biofuel crops, and water reliant food items. In the future, even more water will be needed to produce food because the Earth's population is forecast to rise to 9 billion by 2050. An additional 2.5 or 3 billion people, choosing to eat fewer cereals and more meat and vegetables could add an additional five million kilometres to the virtual canal mentioned above. An assessment of water management in agriculture sector was conducted in 2007 by the International Water Management Institute in Sri Lanka to see if the world had sufficient water to provide food for its growing population. It assessed the current availability of water for agriculture on a global scale and mapped out locations suffering from water scarcity. It found that a fifth of the world's people, more than 1.2 billion, live in areas of physical water scarcity, where there is not enough water to meet all demands. A further 1.6 billion people live in areas experiencing economic water scarcity, where the lack of investment in water or insufficient human capacity make it impossible for authorities to satisfy the demand for water. In addition, one third of the world's population does not have access to clean drinking water, which is more than 2.3 billion people. The report found that it would be possible to produce the food required in future, but that continuation of today's food production and environmental trends would lead to crises in many parts of the world. To avoid a global water crisis, farmers will have to strive to increase productivity to meet growing demands for food, while industry and cities find ways to use water more efficiently. In some areas of the world, irrigation is necessary to grow any crop at all, in other areas it permits more profitable crops to be grown or enhances crop yield. Various irrigation methods involve different trade-offs between crop yield, water consumption and capital cost of equipment and structures. Irrigation methods such as furrow and overhead sprinkler irrigation are usually less expensive but are also typically less efficient, because much of the water evaporates, runs off or drains below the root zone. Other irrigation methods considered to be more efficient include drip or trickle irrigation, surge irrigation, and some types of sprinkler systems where the sprinklers are operated near ground level. These types of systems, while more expensive, usually offer greater potential to minimize runoff, drainage and evaporation. Any system that is improperly managed can be wasteful, all methods have the potential for high efficiencies under suitable conditions, appropriate irrigation timing and management. Some issues that are often insufficiently considered are salinization of groundwater and contaminant accumulation leading to water quality declines. As global populations grow, and as demand for food increases in a world with a fixed water supply, there are efforts under way to learn how to produce more food with less water, through improvements in irrigation methods and technologies, agricultural water management, crop types, and water monitoring. Aquaculture is a small but growing agricultural use of water. Freshwater commercial fisheries may also be considered as agricultural uses of water, but have generally been assigned a lower priority than irrigation (see Aral Sea and Pyramid Lake). It is estimated that 22% of worldwide water is used in industry. Major industrial users include hydroelectric dams, thermoelectric power plants, which use water for cooling, ore and oil refineries, which use water in chemical processes, and manufacturing plants, which use water as a solvent. Water withdrawal can be very high for certain industries, but consumption is generally much lower than that of agriculture. Water is used in renewable power generation. Hydroelectric power derives energy from the force of water flowing downhill, driving a turbine connected to a generator. This hydroelectricity is a low-cost, non-polluting, renewable energy source. Significantly, hydroelectric power can also be used for load following unlike most renewable energy sources which are intermittent. Ultimately, the energy in a hydroelectric powerplant is supplied by the sun. Heat from the sun evaporates water, which condenses as rain in higher altitudes and flows downhill. Pumped-storage hydroelectric plants also exist, which use grid electricity to pump water uphill when demand is low, and use the stored water to produce electricity when demand is high. Hydroelectric power plants generally require the creation of a large artificial lake. Evaporation from this lake is higher than evaporation from a river due to the larger surface area exposed to the elements, resulting in much higher water consumption. The process of driving water through the turbine and tunnels or pipes also briefly removes this water from the natural environment, creating water withdrawal. The impact of this withdrawal on wildlife varies greatly depending on the design of the powerplant. Pressurized water is used in water blasting and water jet cutters. Also, very high pressure water guns are used for precise cutting. It works very well, is relatively safe, and is not harmful to the environment. It is also used in the cooling of machinery to prevent overheating, or prevent saw blades from overheating. This is generally a very small source of water consumption relative to other uses. Water is also used in many large scale industrial processes, such as thermoelectric power production, oil refining, fertilizer production and other chemical plant use, and natural gas extraction from shale rock. Discharge of untreated water from industrial uses is pollution. Pollution includes discharged solutes (chemical pollution) and increased water temperature (thermal pollution). Industry requires pure water for many applications and utilizes a variety of purification techniques both in water supply and discharge. Most of this pure water is generated on site, either from natural freshwater or from municipal grey water. Industrial consumption of water is generally much lower than withdrawal, due to laws requiring industrial grey water to be treated and returned to the environment. Thermoelectric power plants using cooling towers have high consumption, nearly equal to their withdrawal, as most of the withdrawn water is evaporated as part of the cooling process. The withdrawal, however, is lower than in once-through cooling systems. It is estimated that 8% of worldwide water use is for domestic purposes. These include drinking water, bathing, cooking, toilet flushing, cleaning, laundry and gardening. Basic domestic water requirements have been estimated by Peter Gleick at around 50 liters per person per day, excluding water for gardens. Drinking water is water that is of sufficiently high quality so that it can be consumed or used without risk of immediate or long term harm. Such water is commonly called potable water. In most developed countries, the water supplied to domestic, commerce and industry is all of drinking water standard even though only a very small proportion is actually consumed or used in food preparation. Sustainable management of water resources (including provision of safe and reliable supplies for drinking water and irrigation, adequate sanitation, protection of aquatic ecosystems, and flood protection) poses enormous challenges in many parts of the world. Recreational water use is usually a very small but growing percentage of total water use. Recreational water use is mostly tied to reservoirs. If a reservoir is kept fuller than it would otherwise be for recreation, then the water retained could be categorized as recreational usage. Release of water from a few reservoirs is also timed to enhance whitewater boating, which also could be considered a recreational usage. Other examples are anglers, water skiers, nature enthusiasts and swimmers. Recreational usage is usually non-consumptive. Golf courses are often targeted as using excessive amounts of water, especially in drier regions. It is, however, unclear whether recreational irrigation (which would include private gardens) has a noticeable effect on water resources. This is largely due to the unavailability of reliable data. Additionally, many golf courses utilize either primarily or exclusively treated effluent water, which has little impact on potable water availability. Some governments, including the Californian Government, have labelled golf course usage as agricultural in order to deflect environmentalists' charges of wasting water. However, using the above figures as a basis, the actual statistical effect of this reassignment is close to zero. In Arizona, an organized lobby has been established in the form of the Golf Industry Association, a group focused on educating the public on how golf impacts the environment. Recreational usage may reduce the availability of water for other users at specific times and places. For example, water retained in a reservoir to allow boating in the late summer is not available to farmers during the spring planting season. Water released for whitewater rafting may not be available for hydroelectric generation during the time of peak electrical demand. Like recreational usage, environmental usage is non-consumptive but may reduce the availability of water for other users at specific times and places. For example, water release from a reservoir to help fish spawn may not be available to farms upstream, and water retained in a river to maintain waterway health would not be available to water abstractors downstream. The concept of water stress is relatively simple: According to the World Business Council for Sustainable Development, it applies to situations where there is not enough water for all uses, whether agricultural, industrial or domestic. Defining thresholds for stress in terms of available water per capita is more complex, however, entailing assumptions about water use and its efficiency. Nevertheless, it has been proposed that when annual per capita renewable freshwater availability is less than 1,700 cubic meters, countries begin to experience periodic or regular water stress. Below 1,000 cubic meters, water scarcity begins to hamper economic development and human health and well-being. In 2000, the world population was 6.2 billion. The UN estimates that by 2050 there will be an additional 3.5 billion people with most of the growth in developing countries that already suffer water stress. Thus, water demand will increase unless there are corresponding increases in water conservation and recycling of this vital resource. In building on the data presented here by the UN, the World Bank goes on to explain that access to water for producing food will be one of the main challenges in the decades to come. Access to water will need to be balanced with the importance of managing water itself in a sustainable way while taking into account the impact of climate change, and other environmental and social variables. Business activity ranging from industrialization to services such as tourism and entertainment continues to expand rapidly. This expansion requires increased water services including both supply and sanitation, which can lead to more pressure on water resources and natural ecosystem. The trend towards urbanization is accelerating. Small private wells and septic tanks that work well in low-density communities are not feasible within high-density urban areas. Urbanization requires significant investment in water infrastructure in order to deliver water to individuals and to process the concentrations of wastewater – both from individuals and from business. These polluted and contaminated waters must be treated or they pose unacceptable public health risks. In 60% of European cities with more than 100,000 people, groundwater is being used at a faster rate than it can be replenished. Even if some water remains available, it costs increasingly more to capture it. Climate change could have significant impacts on water resources around the world because of the close connections between the climate and hydrological cycle. Rising temperatures will increase evaporation and lead to increases in precipitation, though there will be regional variations in rainfall. Both droughts and floods may become more frequent in different regions at different times, and dramatic changes in snowfall and snow melt are expected in mountainous areas. Higher temperatures will also affect water quality in ways that are not well understood. Possible impacts include increased eutrophication. Climate change could also mean an increase in demand for farm irrigation, garden sprinklers, and perhaps even swimming pools. There is now ample evidence that increased hydrologic variability and change in climate has and will continue have a profound impact on the water sector through the hydrologic cycle, water availability, water demand, and water allocation at the global, regional, basin, and local levels. Due to the expanding human population, competition for water is growing such that many of the world's major aquifers are becoming depleted. This is due both for direct human consumption as well as agricultural irrigation by groundwater. Millions of pumps of all sizes are currently extracting groundwater throughout the world. Irrigation in dry areas such as northern China, Nepal and India is supplied by groundwater, and is being extracted at an unsustainable rate. Cities that have experienced aquifer drops between 10 and 50 meters include Mexico City, Bangkok, Beijing, Madras and Shanghai. Water pollution is one of the main concerns of the world today. The governments of numerous countries have striven to find solutions to reduce this problem. 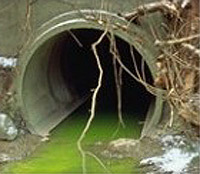 Many pollutants threaten water supplies, but the most widespread, especially in developing countries, is the discharge of raw sewage into natural waters; this method of sewage disposal is the most common method in underdeveloped countries, but also is prevalent in quasi-developed countries such as China, India, Nepal and Iran. Sewage, sludge, garbage, and even toxic pollutants are all dumped into the water. Even if sewage is treated, problems still arise. Treated sewage forms sludge, which may be placed in landfills, spread out on land, incinerated or dumped at sea. In addition to sewage, nonpoint source pollution such as agricultural runoff is a significant source of pollution in some parts of the world, along with urban stormwater runoff and chemical wastes dumped by industries and governments. Competition for water has widely increased, and it has become more difficult to conciliate the necessities for water supply for human consumption, food production, ecosystems and other uses. Water administration is frequently involved in contradictory and complex problems. Approximately 10% of the worldwide annual runoff is used for human necessities. Several areas of the world are flooded, while others have such low precipitations that human life is almost impossible. As population and development increase, raising water demand, the possibility of problems inside a certain country or region increases, as it happens with others outside the region. 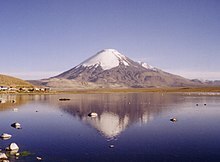 Over the past 25 years, politicians, academics and journalists have frequently predicted that disputes over water would be a source of future wars. Commonly cited quotes include: that of former Egyptian Foreign Minister and former Secretary-General of the United Nations Boutrous Ghali, who forecast, “The next war in the Middle East will be fought over water, not politics”; his successor at the UN, Kofi Annan, who in 2001 said, “Fierce competition for fresh water may well become a source of conflict and wars in the future,” and the former Vice President of the World Bank, Ismail Serageldin, who said the wars of the next century will be over water unless significant changes in governance occurred. The water wars hypothesis had its roots in earlier research carried out on a small number of transboundary rivers such as the Indus, Jordan and Nile. These particular rivers became the focus because they had experienced water-related disputes. Specific events cited as evidence include Israel’s bombing of Syria’s attempts to divert the Jordan’s headwaters, and military threats by Egypt against any country building dams in the upstream waters of the Nile. However, while some links made between conflict and water were valid, they did not necessarily represent the norm. The only known example of an actual inter-state conflict over water took place between 2500 and 2350 BC between the Sumerian states of Lagash and Umma. Water stress has most often led to conflicts at local and regional levels. Tensions arise most often within national borders, in the downstream areas of distressed river basins. Areas such as the lower regions of China's Yellow River or the Chao Phraya River in Thailand, for example, have already been experiencing water stress for several years. Water stress can also exacerbate conflicts and political tensions which are not directly caused by water. Gradual reductions over time in the quality and/or quantity of fresh water can add to the instability of a region by depleting the health of a population, obstructing economic development, and exacerbating larger conflicts. Water resources that span international boundaries are more likely to be a source of collaboration and cooperation than war. Scientists working at the International Water Management Institute have been investigating the evidence behind water war predictions. Their findings show that, while it is true there has been conflict related to water in a handful of international basins, in the rest of the world’s approximately 300 shared basins the record has been largely positive. This is exemplified by the hundreds of treaties in place guiding equitable water use between nations sharing water resources. The institutions created by these agreements can, in fact, be one of the most important factors in ensuring cooperation rather than conflict. The International Union for the Conservation of Nature (IUCN) published the book Share: Managing water across boundaries. One chapter covers the functions of trans-boundary institutions and how they can be designed to promote cooperation, overcome initial disputes and find ways of coping with the uncertainty created by climate change. It also covers how the effectiveness of such institutions can be monitored. In 2025, water shortages will be more prevalent among poorer countries where resources are limited and population growth is rapid, such as the Middle East, Africa, and parts of Asia. By 2025, large urban and peri-urban areas will require new infrastructure to provide safe water and adequate sanitation. This suggests growing conflicts with agricultural water users, who currently consume the majority of the water used by humans. Generally speaking the more developed countries of North America, Europe and Russia will not see a serious threat to water supply by the year 2025, not only because of their relative wealth, but more importantly their populations will be better aligned with available water resources. North Africa, the Middle East, South Africa and northern China will face very severe water shortages due to physical scarcity and a condition of overpopulation relative to their carrying capacity with respect to water supply. Most of South America, Sub-Saharan Africa, Southern China and India will face water supply shortages by 2025; for these latter regions the causes of scarcity will be economic constraints to developing safe drinking water, as well as excessive population growth. Water supply and sanitation require a huge amount of capital investment in infrastructure such as pipe networks, pumping stations and water treatment works. It is estimated that Organisation for Economic Co-operation and Development (OECD) nations need to invest at least USD 200 billion per year to replace aging water infrastructure to guarantee supply, reduce leakage rates and protect water quality. International attention has focused upon the needs of the developing countries. To meet the Millennium Development Goals targets of halving the proportion of the population lacking access to safe drinking water and basic sanitation by 2015, current annual investment on the order of USD 10 to USD 15 billion would need to be roughly doubled. This does not include investments required for the maintenance of existing infrastructure. Once infrastructure is in place, operating water supply and sanitation systems entails significant ongoing costs to cover personnel, energy, chemicals, maintenance and other expenses. The sources of money to meet these capital and operational costs are essentially either user fees, public funds or some combination of the two. An increasing dimension to consider is the flexibility of the water supply system. ^ Gleeson, Tom; Wada, Yoshihide; Bierkens, Marc F. P.; van Beek, Ludovicus P. H. (9 August 2012). "Water balance of global aquifers revealed by groundwater footprint". Nature. 488 (7410): 197–200. doi:10.1038/nature11295. PMID 22874965. ^ "The World's Water 2006–2007 Tables, Pacific Institute". Worldwater.org. Retrieved 2009-03-12. ^ a b c "WBCSD Water Facts & Trends". Retrieved 2009-03-12. ^ Molden, D. (Ed.) (2007) Water for food, Water for life: A Comprehensive Assessment of Water Management in Agriculture. Earthscan/IWMI. ^ Chartres, C. and Varma, S. (2010) Out of water. From Abundance to Scarcity and How to Solve the World’s Water Problems FT Press (USA). ^ "Water Development and Management Unit – Topics – Irrigation". FAO. Retrieved 2009-03-12. ^ "FAO Water Unit | Water News: water scarcity". Fao.org. Retrieved 2009-03-12. ^ "Aral Sea trickles back to life". Silk Road Intelligencer. Retrieved 2011-12-05. ^ "World population to reach 9.1 billion in 2050, UN projects". Un.org. 2005-02-24. Retrieved 2009-03-12. ^ Foster, S. S.; Chilton, P. J. (2003-12-29). "Groundwater – the processes and global significance of aquifer degradation". Philosophical Transactions of the Royal Society of London. Series B, Biological Sciences. 358 (1440): 1957–1972. doi:10.1098/rstb.2003.1380. PMC 1693287. PMID 14728791. ^ "Sustaining water for all in a changing climate: World Bank Group Implementation Progress Report". The World Bank. 2010. Retrieved 2011-10-24. ^ "Europe's Environment: The Dobris Assessment". Reports.eea.europa.eu. 1995-05-20. Retrieved 2009-03-12. ^ "Water and Climate Change: Understanding the Risks and Making Climate-Smart Investment Decisions". World Bank. 2009. Retrieved 2011-10-24. ^ "Groundwater in Urban Development". Wds.worldbank.org. 1998-03-31. p. 1. Retrieved 2009-03-12. ^ Ocean dumping of sewage sludge is prohibited in the United States by the Marine Protection, Research, and Sanctuaries Act (MPRSA). ^ Rasler, Karen A.; Thompson, W. R. (2006). "Contested Territory, Strategic Rivalries, and Conflict Escalation". International Studies Quarterly. 50 (1): 145–168. doi:10.1111/j.1468-2478.2006.00396.x. ^ Wolf, Aaron T (2001). "Water and Human Security". Journal of Contemporary Water Research and Education. 118: 29. ^ Postel, S. L.; Wolf, A. T. (2001). "Dehydrating Conflict". Foreign Policy. 126 (126): 60–67. doi:10.2307/3183260. JSTOR 3183260. ^ Sadoff, C.; et al., eds. (2008). Share: managing Water across Boundaries (PDF). IUCN. ISBN 978-2-8317-1029-7. ^ "The cost of meeting the Johannesburg targets for drinking water". Water-academy.org. 2004-06-22. Retrieved 2009-03-12. ^ Winpenny, James (March 2003). "Financing Water for All" (PDF). World Water Council. ISBN 92-95017-01-3. ^ Bishop, Joshua (2002). Selling Forest Environmental Services: Market-based Mechanisms for Conservation and Development. p. 91. ISBN 9781849772501. ^ Zhang, S.X. ; V. Babovic (2012). "A real options approach to the design and architecture of water supply systems using innovative water technologies under uncertainty". Journal of Hydroinformatics. 14 (1): 13–29. SSRN 2491961.